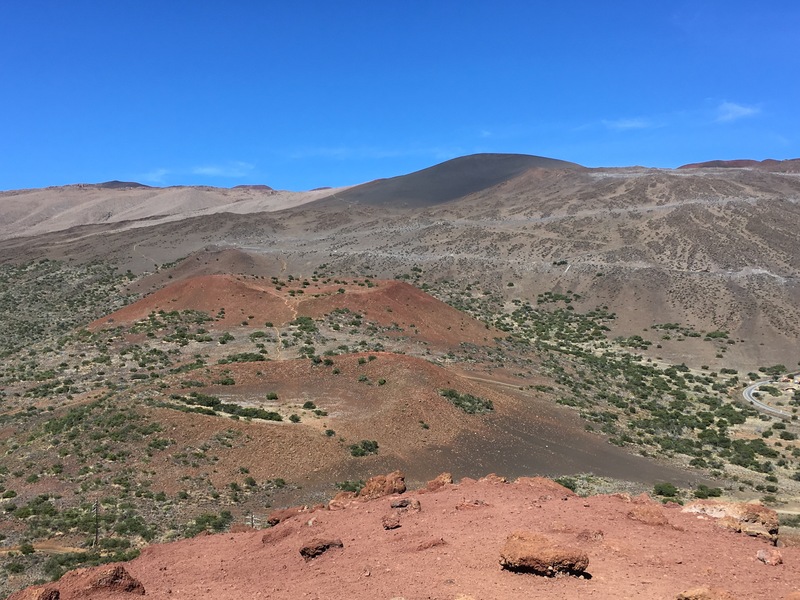 I had originally been interested in a tour to the top of Mauna Kea for stargazing, but since prices are over $200 per person and Maureen was not eligible to go (health restrictions), I crossed that off the itinerary. Instead, we decided to drive up to the Onizuka Center for International Astronomy Visitor Information Station at 9200 feet. 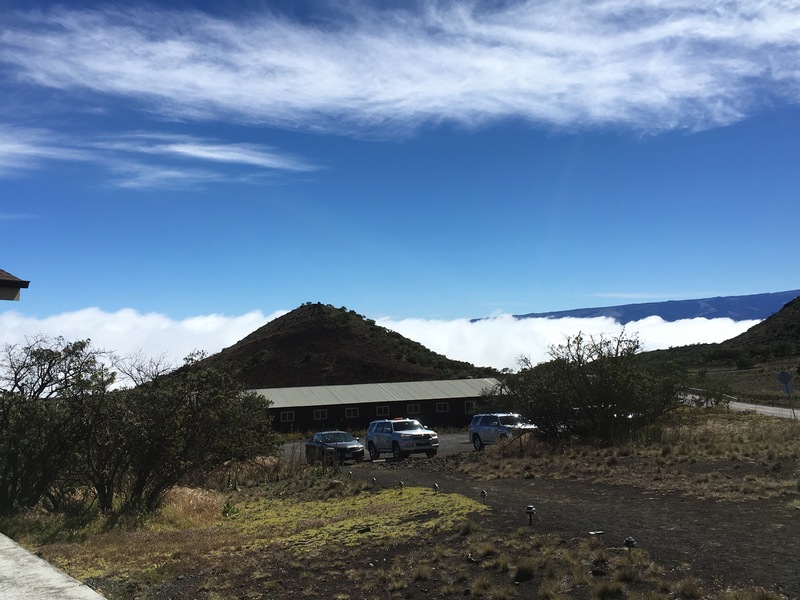 This is also the location of offices and housing for many of the scientists working on projects using the instruments at the Mauna Kea summit. There, we viewed a nicely-done movie that included segments on astronomy, wildlife, geology, and local history. I conjectured that the movie was long in order to encourage those traveling to the summit to acclimate before going higher. 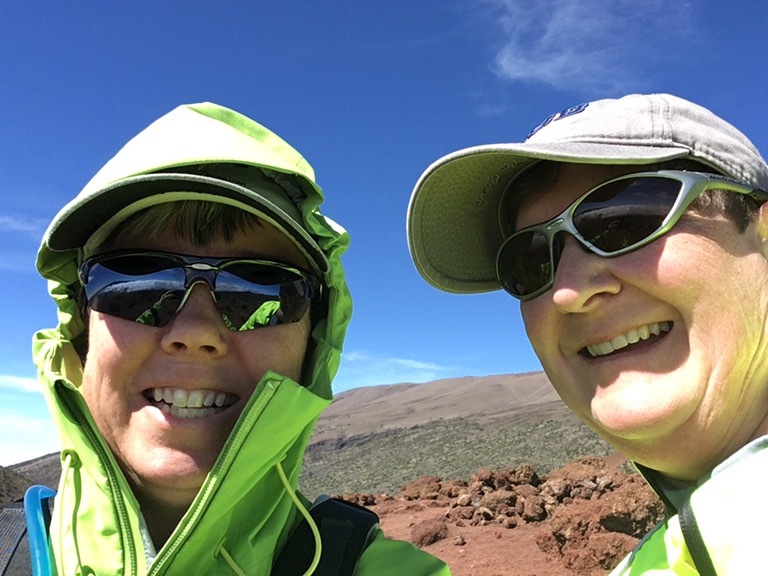 After checking out the gift shop’s offerings (we bought gum and a bird guide), we ventured across the street for little hike above the clouds. If I were to visit the Big Island again, I would definitely want to return to Mauna Kea after dark. The road to the Onizuka Center is pretty straightforward and would not be that scary at night.